storage that should not be overlooked. According to Forrester Research, hybrid cloud – which combines on-premise storage with public and hosted cloud services – is the future for enterprise storage. But despite the many advantages cloud storage offers, Forrester analyst Henry Baltazar predicts the route to the cloud will be long and slow for many organisations. This is largely because of long migrations, the risk of lock-in and security and compliance issues. Moving large amounts of data over long distance remains a struggle for companies. This applies to the move to the cloud, but also to moving data when an organisation wants to change cloud provider. The costs of such a migration – in bandwidth and time – makes changing providers difficult and contributes to a lock-in effect. Until now, cloud storage has been seen by Benelux organisations as an additional storage silo to support next-generation analytics and to provide storage for unstructured data. But cloud storage has much more to offer, says Baltazar. Next-generation hybrid cloud storage products are already available and can bridge the gap between on-premise applications, resources and cloud storage services. This is exactly the choice that Fokker Aerostructures made. “We were looking for a new solution for data storage, as our data grows annually by 100% to 120%. We wanted an alternative to expensive, traditional storage solutions for backup, and primary and nearline storage of data,” says Henk Smit, CIO at Fokker Technologies Holding. The company opted for a private cloud system from Proact. A three-tier architecture has been developed, with a private cloud at Fokker sites in Papendrecht and Hoogeveen in combination with centralised backup and replication. All data is mirrored to Proact's datacentre. There are lots of options available for cloud storage, with capabilities for storing primary and nearline data, and for making and storing backups and archives. Primary data is data that must always be up-to-date and instantly available. Nearline data needs to be available, but with less emphasis on instant access speed. The difference between a backup and an archive is that backups are made to be thrown away. It is a snapshot of the IT environment at a time when everything is going well. In the event of a failure the environment can be restored to that moment. With an archive the reverse is true - data must be preserved. Cloud options are available for each type of data. The differences are mainly in the service-level agreement (SLAs), largely concerning availability and speed. To make the right choice, it is important that an organisation is aware of the value data has for the company. Data is an asset. The importance or value of the data determines where it should be stored. Burst Digital works almost entirely in the cloud. The company develops websites for renowned brands with an international focus. The international presence of its customers was a big consideration for Burst when choosing cloud storage. Private corporate data now totals about 2TB in the cloud and customer data comprises multiples thereof, says Bröcker. Specialist software has changed the game in virtual machine (VM) backup. Benelux organisations talk about their dedicated VM backup tools. 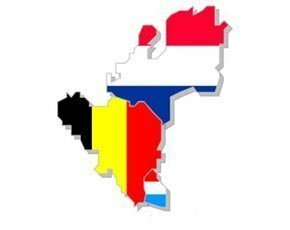 Organisation in the Benelux countries are turning to big data analytics, but big data storage options can vary significantly between the lab and production environments. One of the reasons for choosing Rackspace was the geographical spread of the cloud provider, he adds. “You can put a website in the cloud and then people think it's a global site, but if a site only runs in one server park, you get delays at locations far removed from that datacentre,” says Bröcker. The use of cloud solutions is set to grow in the Benelux region with research showing, for example, that almost half of Dutch small and medium-sized enterprises (SMEs) use cloud. Nearly one third (32%) opt for an online product because of safety, 25% choose the cloud for cost reduction and 23% for reasons of flexibility. Burst and Fokker also expect their use of the cloud to expand.